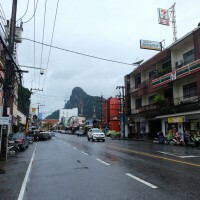 In order to cross to Thailand, there are two border crossings that one can take. 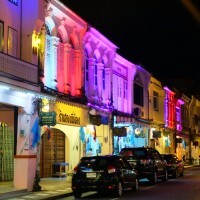 The largest (thus busiest) is the Padang Besar border, which is within a close approximate with the Thai city of Hat Yai. But for this trip, we decided to cross via the road less travelled, Wang Kelian/Wang Prachan border. With Foogie’s mountain bike at the back of the car, we set off our journey at 9 AM. My folding bike, helmets, bag panniers, and all other essentials were loaded inside the small-yet-compact Viva car. 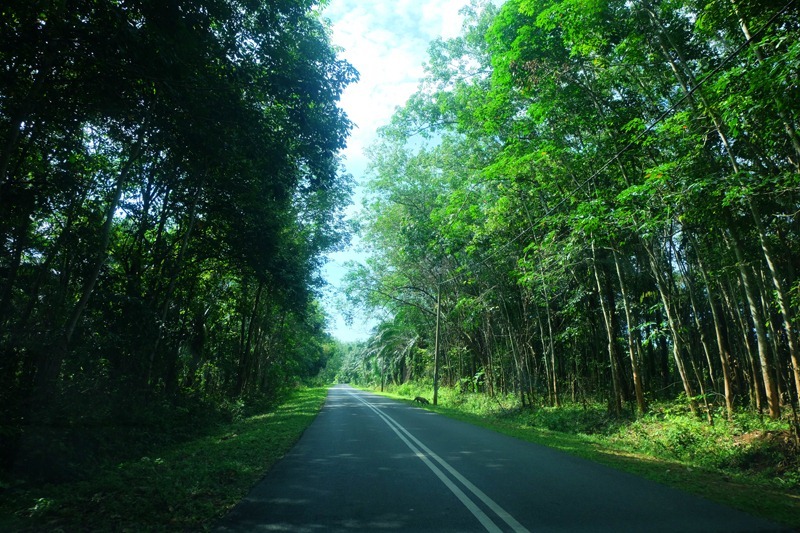 We drove all the way from hazy KL to the northern part of Perlis state, stopping only in Penang for a quick lunch at around 2 PM. As soon as we reached the state of Perlis at around 4 PM, we were amazed by the beautiful blue sky – it was the first time to see that ever since KL was blanketed with Sumatran haze a month ago! It was also my first time at Perlis, the smallest state of Malaysia which borders Thailand. 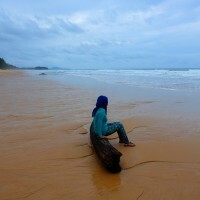 I liked this state, though! 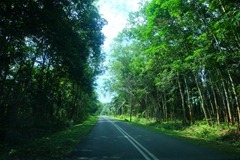 The sceneries were surprisingly varied for such a small area; from rubber plantations, paddy fields, ostrich farm (yep, no kidding! 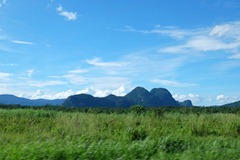 ), national park, mountains, to limestone hills. 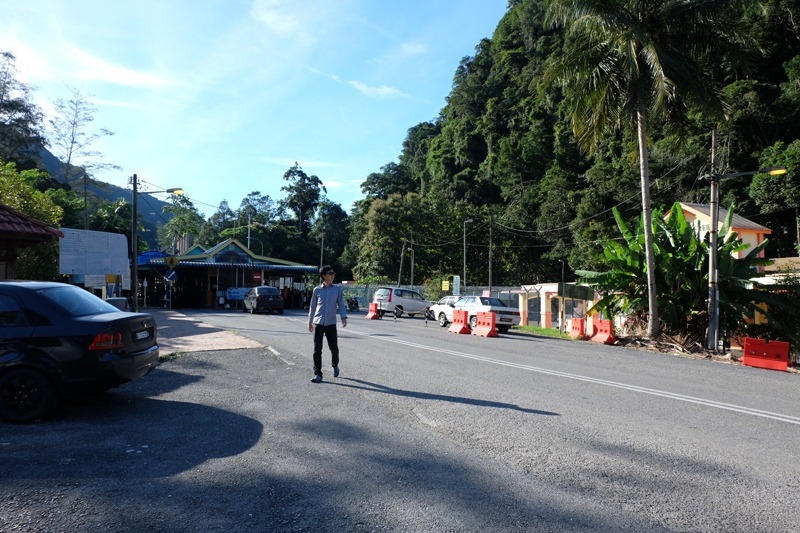 Before reaching Wang Kelian, we had to pass a long stretch of a very steep hill at Kaki Bukit. I couldn’t imagine cycling here! 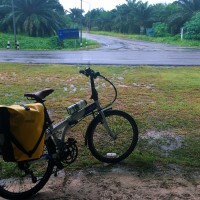 We actually planned to cycle all the way from Penang – I was glad we didn’t do it in the end! Probably I would have turned back if I did. I don’t understand why people would go to the Padang Besar border that is chaotic and full of gigantic trucks. 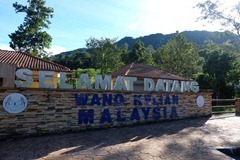 Wang Kelian-Wang Prachan border is better and I would recommend anyone to go there instead!